"This Is The End, My Only Friend." 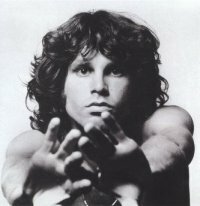 Commit Seppukoo Do like Jim Morrison! Go Seppukoo! ~Renee~ @ 2009-11-15 02:25:23 said: Mr.Mojo Risin. Ride the snake...... into the storm...... This is the end.... beautiful friend, the end. Anonymous @ 2009-12-30 07:25:23 said: RIP Jim You are a Legend. justebi @ 2010-02-16 22:16:39 said: Rest In Peace man, just "light my fire..."
Percival H. Fawcett @ 2010-06-07 10:20:25 said: used to believe you died long ago , but I rethink the case right now ... Farewell , Jim ! !